Petr Cech remains a doubt with an on-going hamstring injury so Bernd Leno is set for another start in goal. The German has impressed since deputising for Cech so hopefully he can put in another solid display tomorrow. Sokratis is a major doubt for the game after picking up a muscle strain during the international break and I wouldn’t take any chances with him. Shkodran Mustafi and Rob Holding have started together for the last two games so I’d stick with them against Leicester and give Sokratis more time to fully recover. Sead Kolasinac and Stephan Lichtsteiner are options for Emery if he wants to freshen things up in the full-back areas but I expect they’ll start in the Europa League against Sporting Lisbon on Thursday night so Hector Bellerin and Nacho Monreal should line-up against the Foxes. It will be interesting to see how Emery lines-up in attack as he played 4-4-2 against Fulham to great affect last time out and I hope he sticks with that kind of formation again tomorrow night. Lucas Torreira has been a huge addition to the team since coming in to the side so the Uruguayan international deserves to keep his place in the holding role ahead of Mohamed Elneny and Matteo Guendouzi. 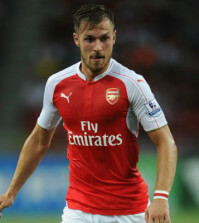 No doubt Emery will stick with Granit Xhaka but I’d like to see Aaron Ramsey given a chance alongside Torreira. The Welshman may be leaving the club soon but while he’s still on the books I think he’ll be a great asset and would like to see him in the box-to-box role in the middle of the park. 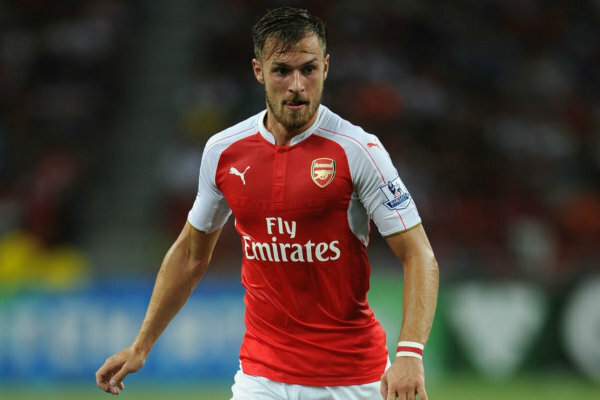 Ramsey showed his quality off the bench against Fulham before the international break and I think he brings a lot more to the team than Xhaka. 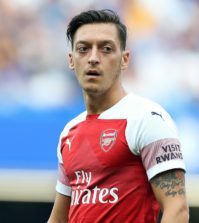 Mesut Ozil missed the trip to Fulham with a back problem but he’s available again and although it’s not ideal, I’d start him on the right wing. If we’re to play 4-4-2 then it’s tough to see where else Ozil can play but he’s far too good to leave out. Alex Iwobi has been excellent in recent games and it would be tough to leave him out but I’d go with Henrikh Mkhitaryan on the opposite flank and use Iwobi as an option from the bench. I’m excited to see Pierre-Emerick Aubameyang playing alongside Alexandre Lacazette, if Emery sticks with 4-4-2 against Leicester. Aubameyang was devastating off the bench with two excellent goals against Fulham so I hope he’s recalled up front. 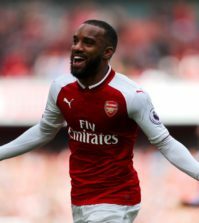 Lacazette was also among the goals at Craven Cottage and I think he can form a dangerous partnership with Aubameyang if they’re given time to develop. Danny Welbeck didn’t really take his chance at Fulham so he should drop to the bench.